I’m a total horror movie apologist. If a filmmaker can shoehorn in a few legitimate scares at some point across the hour-and-forty-minute runtime, I’ll probably find a way to defend the movie. I just can’t help myself, which is why you should probably take the following sentence with a grain of salt: I am pumped up about this new Bigfoot movie! Directed by Eduardo Sanchez, who is best known for giving the world The Blair Witch Project, Exists follows a group of friends who venture out into the woods to sleep in a strange cabin, of course. They bring cameras, of course, and begin encountering some things that go bump in the night, of course. 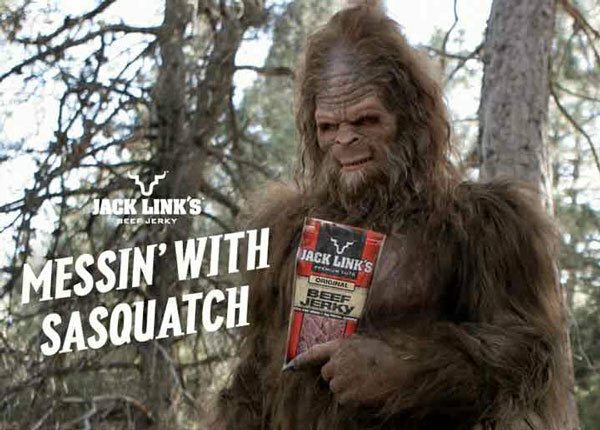 More specifically, they encounter one thing that goes bump in the night: the not so mythical Sasquatch, who may or may not be the same guy who starred in those hysterical beef jerky commercials, not of course. Apart from the Bigfoot variation which you don’t see every day, there’s not a whole lot that feels new or fresh about this trailer. As evidenced by all of the of courses above, Eduardo Sanchez and Exists are very comfortable taking us down old roads, but the thing about horror movies is, if done correctly, that’s fine. No one expects this movie to be the new Shining. In fact, I think all of us would be happy with it if it was just the new Quarantine. Exists is scheduled to hit theaters on October 24. It’ll hit iTunes on the same day, which probably means it isn’t getting a very wide release date, which is a shame. Lovely Molly is an underrated horror flick and The Blair Witch Project obviously completely changed the genre’s landscape. During a day and age when it doesn’t take that much money to have a horror flick theatrically released wide on the first weekend, it seems like Eduardo Sanchez should get at least that.